Scott Elmquist Since taking over as president of the University of Richmond last year, Ronald A. Crutcher has been finding a variety of ways to get involved in the community. 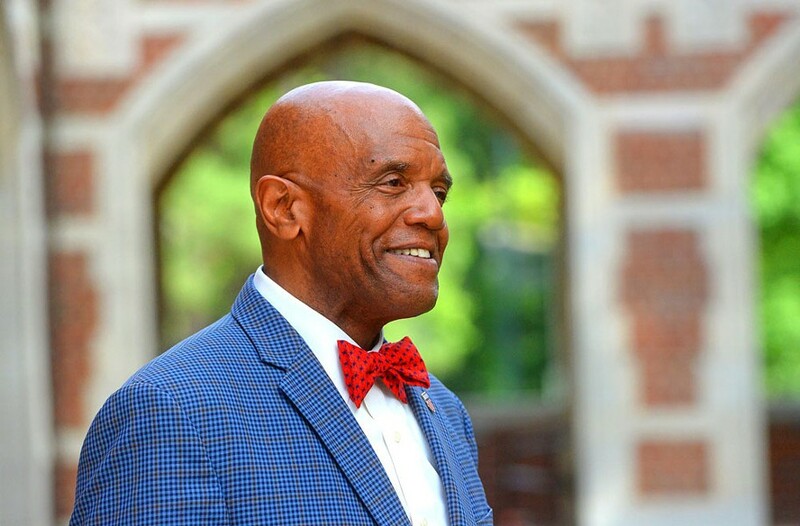 Approaching his first year in office as the president of the University of Richmond, Ronald A. Crutcher has been working hard on three fronts. One is to make the highly ranked liberal arts school affordable to students from all kinds of economic backgrounds. The other is to support the university’s sustainable practices to stem climate change. And a third is to find ways he can personally connect with the Richmond community. Last summer, Crutcher, a distinguished cellist and music scholar, told Style that he wanted to make his school “need blind” and committed to provide 100 percent of financing to students whose families make less than $60,000. “Accessibility and affordability are dear to my heart,” said the quiet and reflective Crutcher, who is founding co-chairman of Liberal Education and America’s Promise, known as LEAP, a campaign of the Association of American Colleges and Universities. In January, Crutcher signed the American Campuses Act on Climate pledge, affirming its commitment to sustainability. As part of that, the school has been installing 749 photovoltaic solar panels covering 22,000 square feet of the roof of the Weinstein Center for Recreation and Wellness. They will generate 205 kilowatts of electricity.